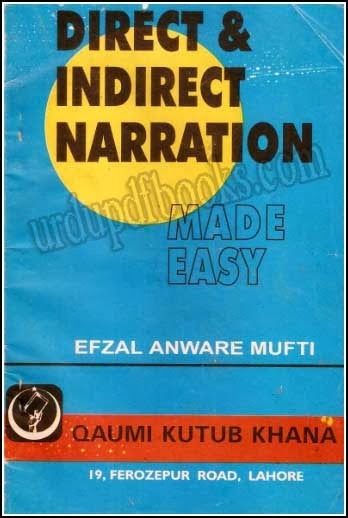 Direct and indirect narration made easy book is authored by efzal anware mufti containing the education material for learning of direct and indirect speech.This book has the size of mb and posted into education urdu books and afzal anwar mufti pdf books.Visit the below given mediafire link to download direct and indirect urdu pdf or read online book free. Is idarey ki 1 book everyday Proverbs k name se he wo upload kar den. i am happy with this sharing. thanks a lot. I love this sharing thanks a lot.